Get your grateful hearts ready! Monday is here! 1. I'm grateful for people like Jon Morrow. I've been benefiting a lot because of his generosity in sharing his blogging knowledge and experiences. 2. Writing keeps me sane. The world plus PMS (!) can be really really tough. Thank God writing is so therapeutic. 3. Reaping the goodness that I sow. What goes around comes around. So I make sure that I plant as many good seeds as I can. You'll never know what's going to get you someday. 4. The Word that guides me when everything seems blurry. It's like a lighthouse on a dark stormy night. 5. I am grateful for the supportive and encouraging messages I get from friends and strangers alike. Words are so powerful. It can do wonders. 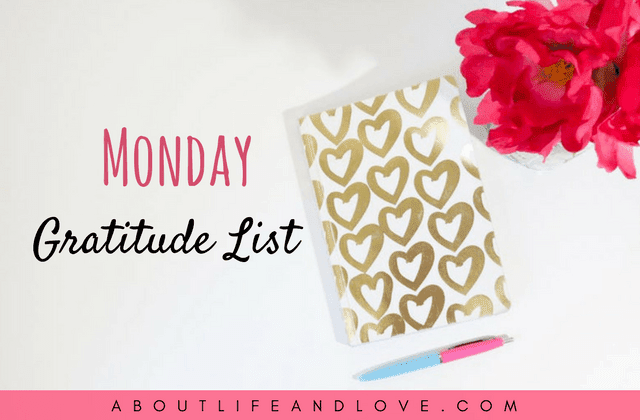 Join the Grateful LinkUp. Get the InLinkz code here. I don't know the first answer on this list, but I have to agree with all the other four. I don't know where I would be without my reading and writing. I don't know where I would be without my God and his word. People who care about you and support you in different ways are awesome! That is so true. You should follow Jon Morrow. I've learned a lot about blogging in less than a month by just reading his articles. And to think, I've started blogging 3 years ago! Thank you for sharing the Jon Morrow link. I am still "wet behind the ears" and enjoyed some of his information. Also, thank you for visiting my site! So many of the things you are grateful for are on my list, too. Thanks for starting it all, Lauren.